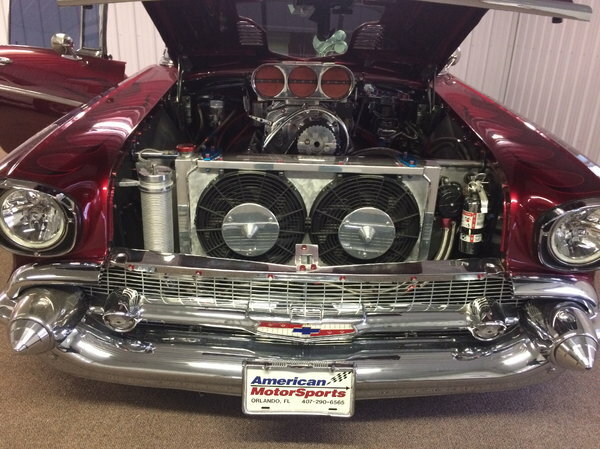 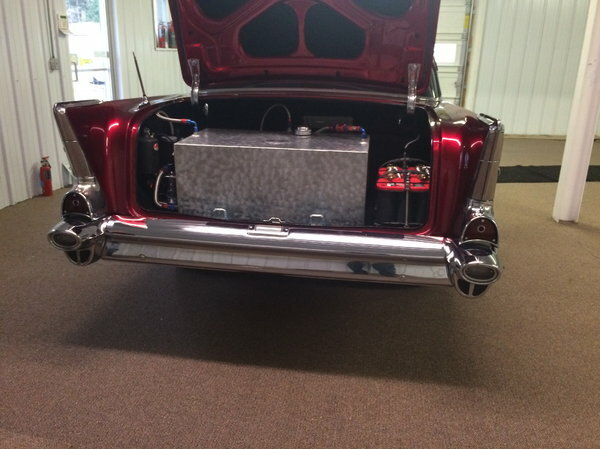 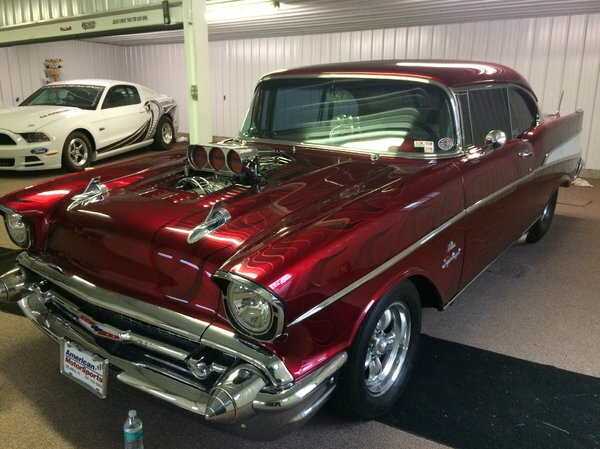 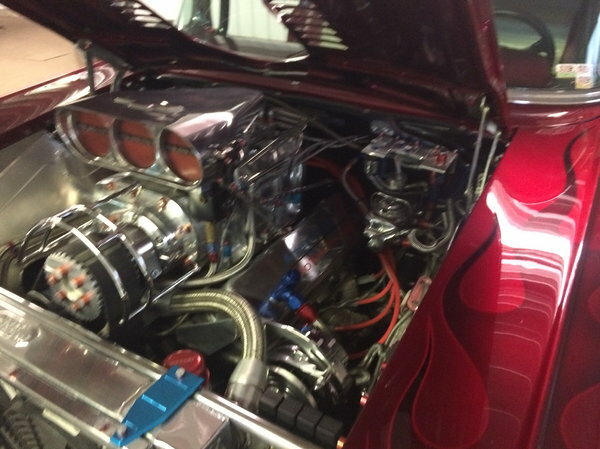 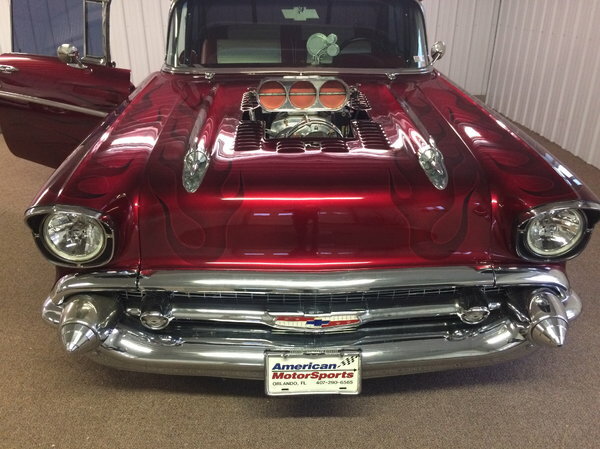 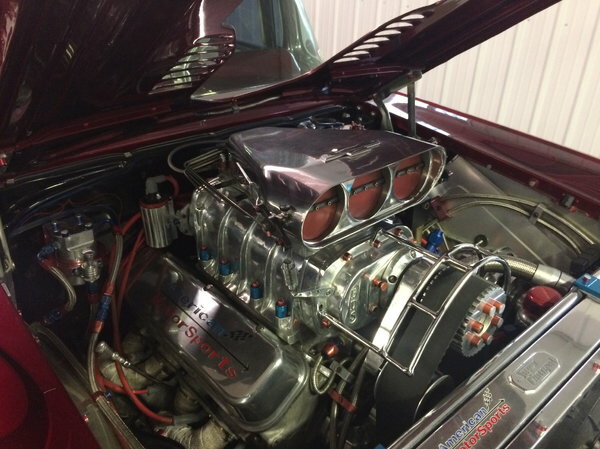 477 Cubic Inch, Big Block Chevy Blown Injected and alcohol burning built by Jim Oddy. 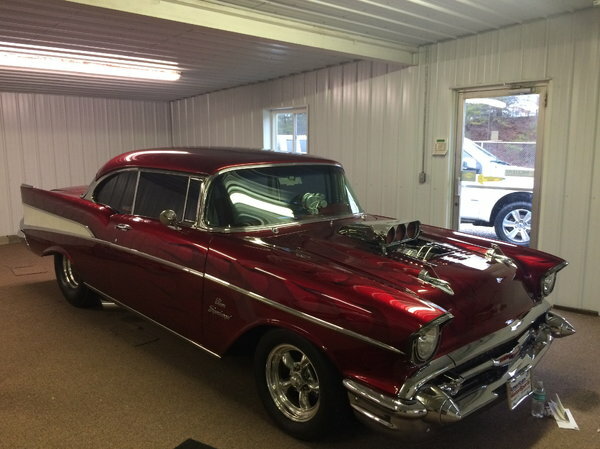 Has a competition power glide transmission. 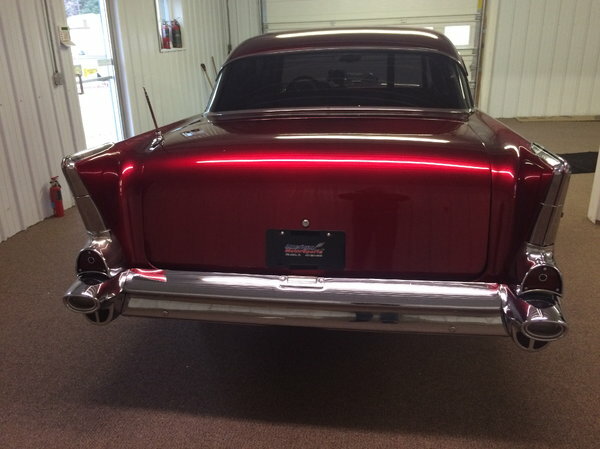 This car is a beautiful creation, maroon paint with ghost flames. 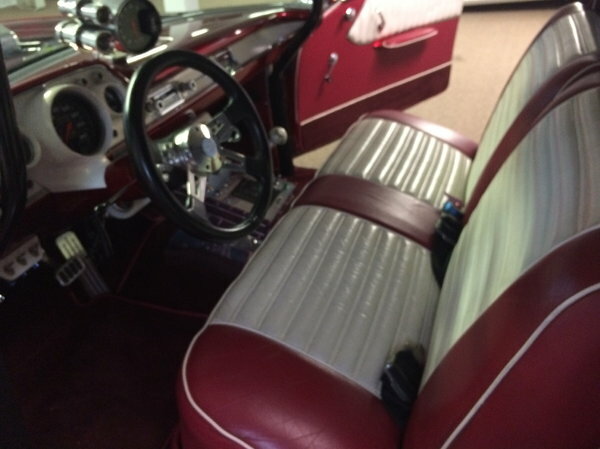 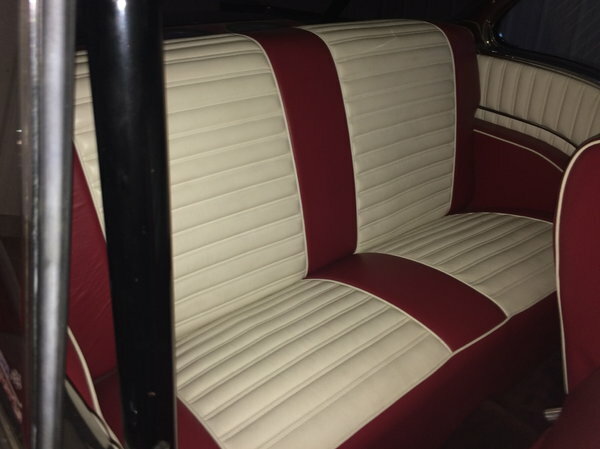 genuine leather maroon and white interior. 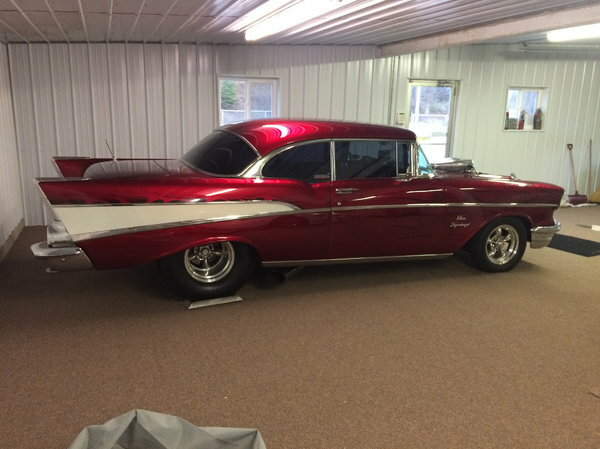 Car has been appraised for $200,000. 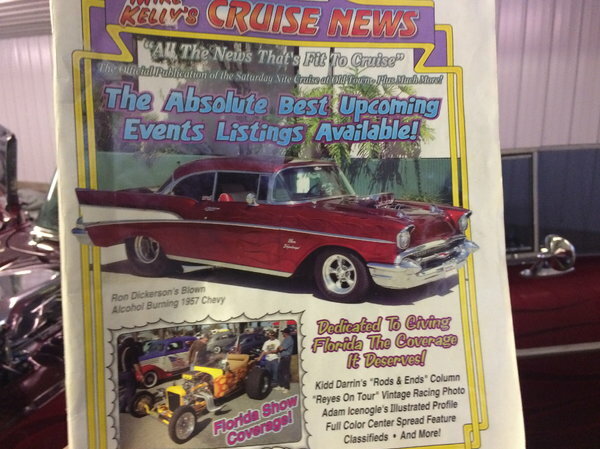 Car has been featured on cover of Cruise News Magazine!